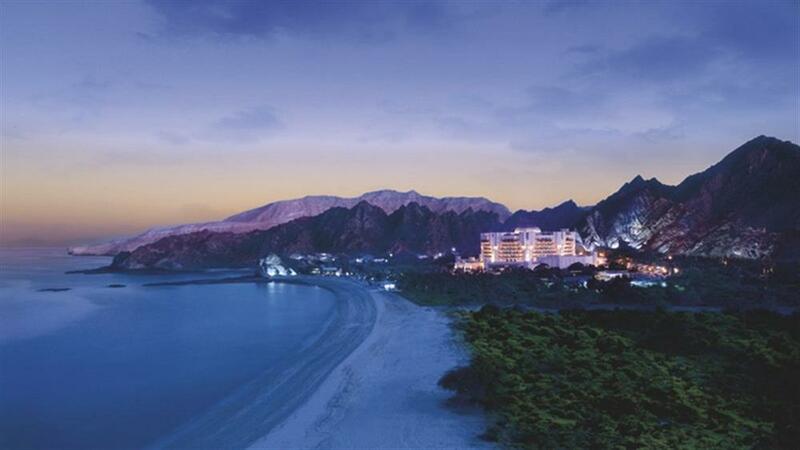 Al Bustan Palace is a Ritz-Carlton hotel set on a private beach with acres of lush gardens. 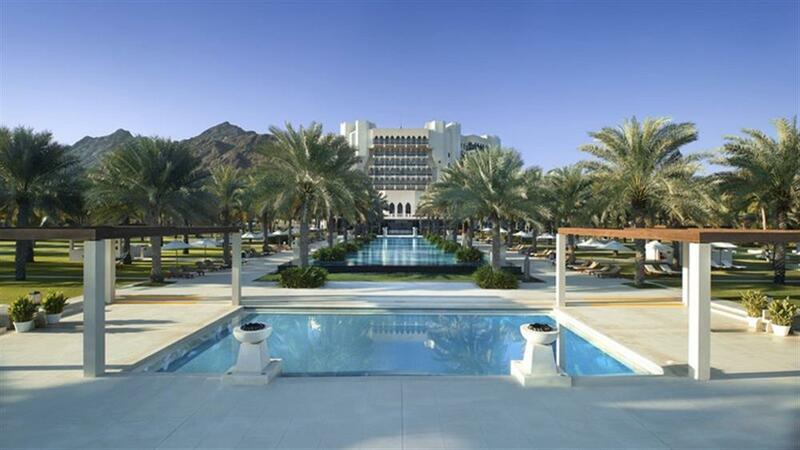 Noted for its 38-meter high-domed atrium lobby, the Al Bustan Palace was originally built to host the Gulf Cooperation Council (GCC) Summit in 1985. 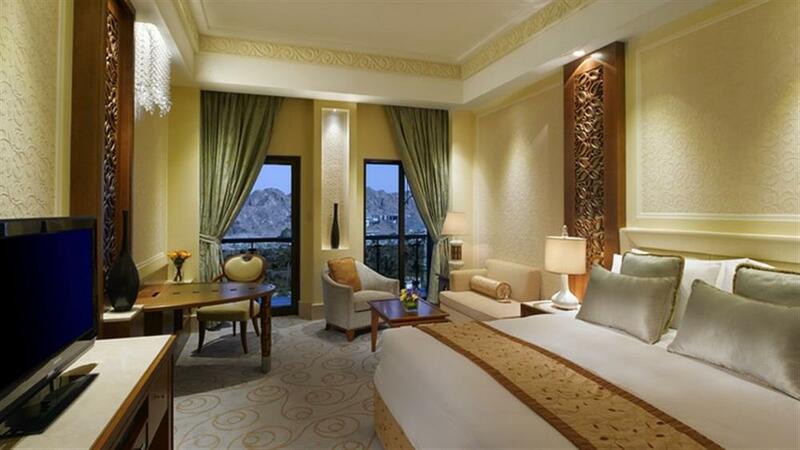 Through the years and through renovation, the resort has maintained the intricately handcrafted wall covers and original carvings, and has earned its reputation as the "jewel of the Sultanate." Meticulously designed for comfort and convenience, the hotel's 250 guest rooms and suites have been uniquely appointed to reflect both local traditions and art deco influences. 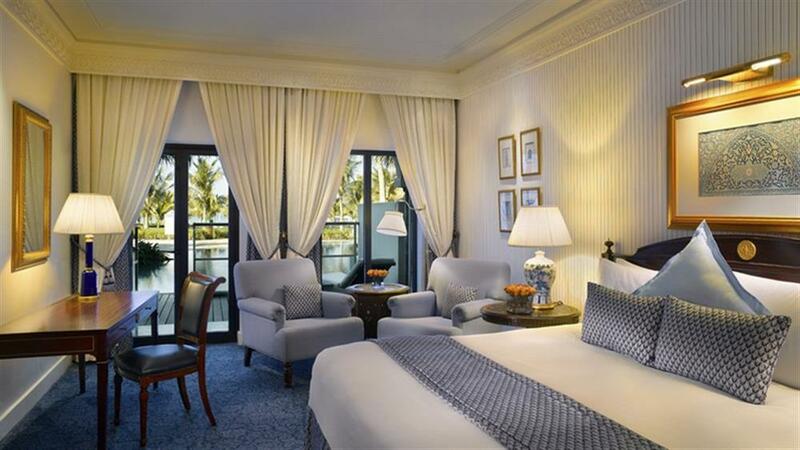 Each room and suite features magnificent mountain, sea or garden views, plush accommodations, high-speed Internet access and ample work space, making them perfect for both business and leisure travel alike. 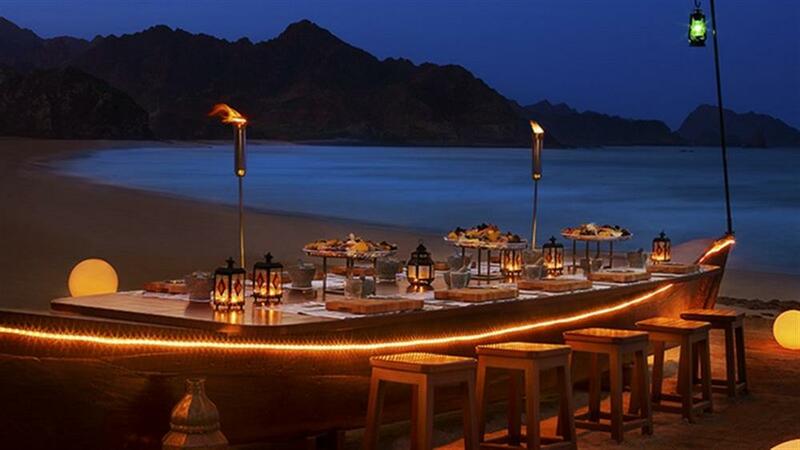 Offering an array of cuisine, Al Bustan Palace is home to a variety of restaurants and bars. 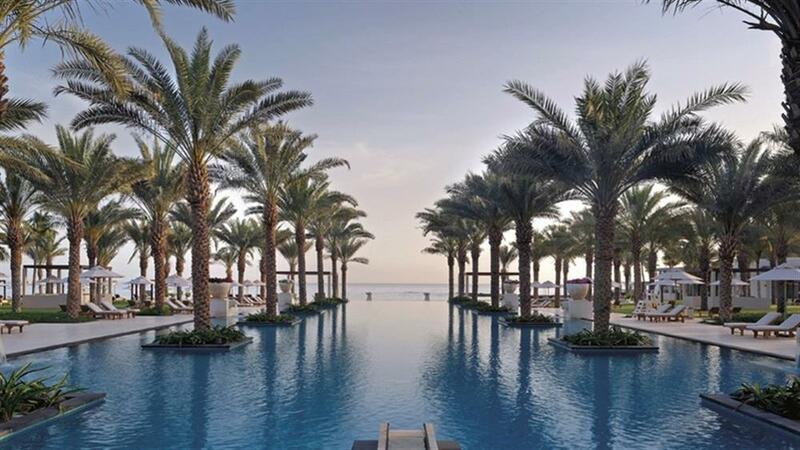 From the China Mood featuring fresh and authentic Chinese cuisine to the all-day buffet at the Al Khiran Terrace restaurant and the casual seaside Beach Pavilion Restaurant & Bar, the hotel's restaurants should please the most discerning palates. The hotel's Fitness Centre offers a range of cardio and weight equipment with separate aerobics room, sauna, steam room, and relaxation rooms. 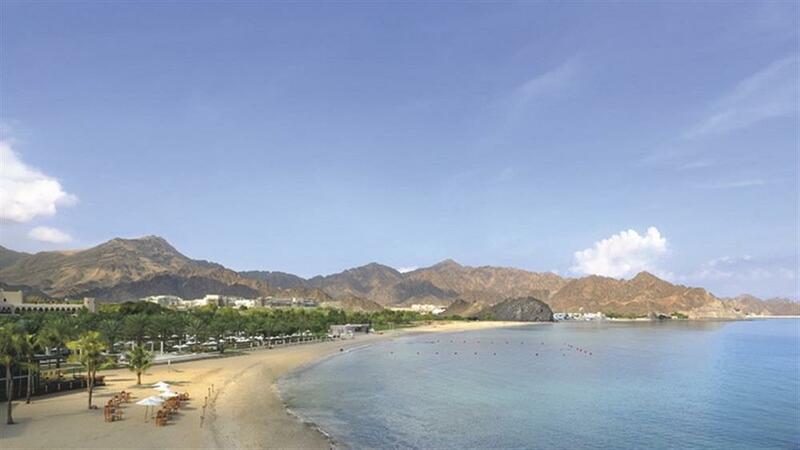 The second floor location offers breathtaking views of Oman and the manicured hotel gardens and expansive private beach. 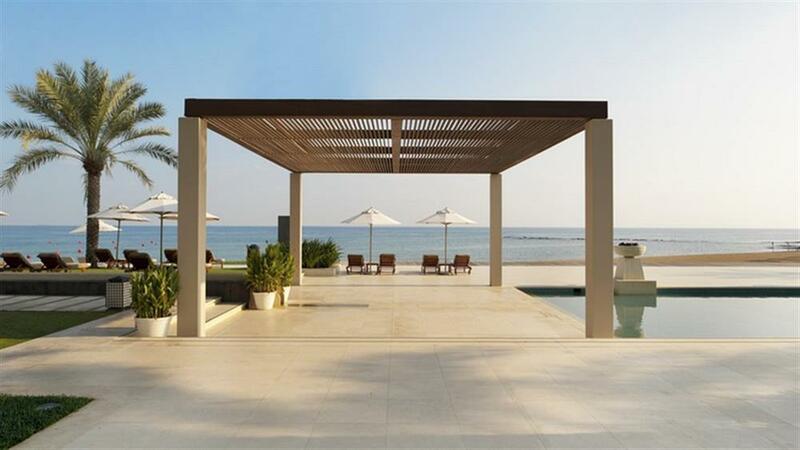 There are several swimming pools in which to relax and a 1km private beach.